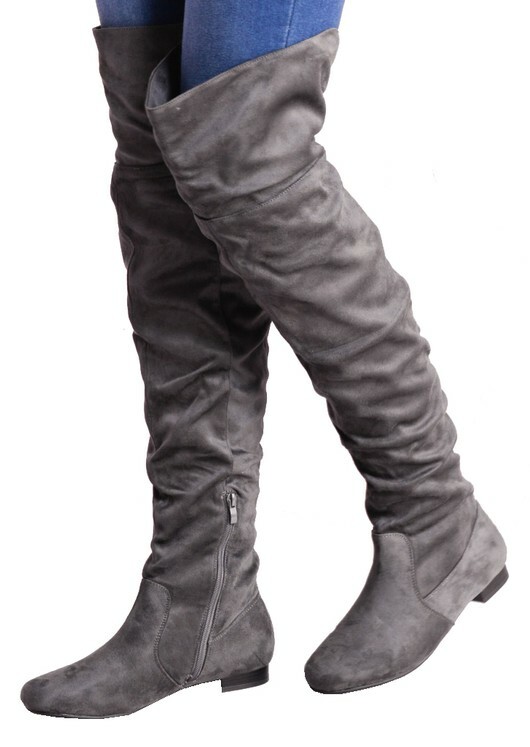 These grey over the knee boots are the boots to be seen in this season. They tick all the right boxes, super comfy to wear and easy to style. 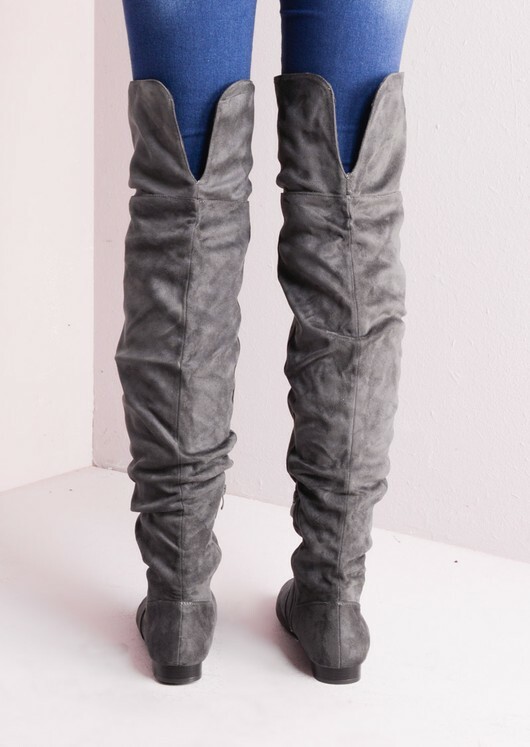 Feature a side zip fastening, fold over top, low heel, and soft faux suede material. Style with jeans or a casual dress for the ultimate grab 'n' go outfit.